Dorion-Gray Capital Management: Weekly Commentary April 3, 2017 | Dorion-Gray Retirement Planning, Inc. Although stocks fell Friday, Wall Street wrapped up a strong quarter, which saw the S&P gain 5.5 percent. The major indexes achieved multiple record highs since the November election, but investors will be watching to see if the upcoming quarter’s earnings merit pricey valuations. For the week, the Dow rose 0.32 percent to close at 20,663.22. The S&P gained 0.82 percent to finish at 2,362.72, and the NASDAQ climbed 1.42 percent to end the week at 5,911.74. 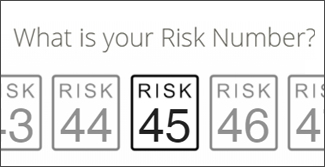 Of American adults who have health insurance coverage, 42 percent have difficulty affording their deductible (source: Kaiser Family Foundation, BTN Research). As of Dec. 31, 2016, 40 percent of the 75 million single-family American homes that are owner-occupied were built before 1970 (source: Census Bureau, BTN Research). The cost of tuition, fees and room and board at an average in-state public college has increased 5.5 percent per year over the last 30 years, reaching $20,090 for the 2016-2017 school year. If college costs had instead risen only by the rate of inflation (using the CPI) over the last 30 years (2.7 percent per year), then a year of college would cost $8,892 during the current school year (source: College Board, Department of Labor, BTN Research). WEEKLY FOCUS - Should You Rethink Your Retirement Plan? National Retirement Planning Week is an annual national effort to help consumers focus on their financial needs in retirement. During the 2017 event, April 3-7, investors are encouraged to focus on their retirement plans. Even if you’re in the later stage of retirement planning, you should still sit down annually with your advisor to review and rethink your plan. Why rethink? Because life happens – and life changes. An annual review is an opportunity to identify life changes, envision your life in retirement and make sure you’re on track to meet your financial goals. Life changes in family, career and personal life, as well as health issues, can greatly impact retirement planning. Marriage, divorce or remarriage; a child moving out or getting married; or the death of a dependent are all examples of a change in family life. A change in career can include gaining or losing a business partner, or starting, buying or closing a business. It could also mean a change at your current job. If you’re in the later part of your career, chances are greater your employer may offer you a buyout. You need to consider your reaction before that happens. Changes in personal finance could include establishing a trust, buying or selling a home or dramatically increasing investments. The years leading up to your retirement will likely be the most financially productive; you’ll want to take advantage of them and max out your retirement contributions. A serious illness or injury, or death of a beneficiary could certainly change your retirement plan. Many Americans retire before their projected date because of health problems or disability. An in-depth annual review can also let you define or refine your retirement lifestyle. Has the picture you painted years ago changed? Will you move to another part of the country, to a different country? Will you travel or stay close to home and dive into hobbies? Will you entertain or lead a quieter life? A fully developed retirement lifestyle can help you create a retirement budget. Once you have a clear picture of your future, determine if you’re on track to financially support it. Call us to schedule an appointment. We can review your retirement plan, identify any gaps or shortfalls, and develop a retirement budget to fit your future. Rethinking your plan could let you retire on your terms. 2017. 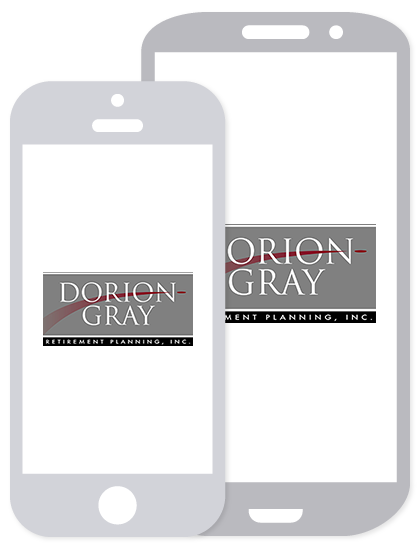 Dorion-Gray Financial Services, Inc.
the text of this communication without copying or further dissemination. Your cooperation is appreciated.